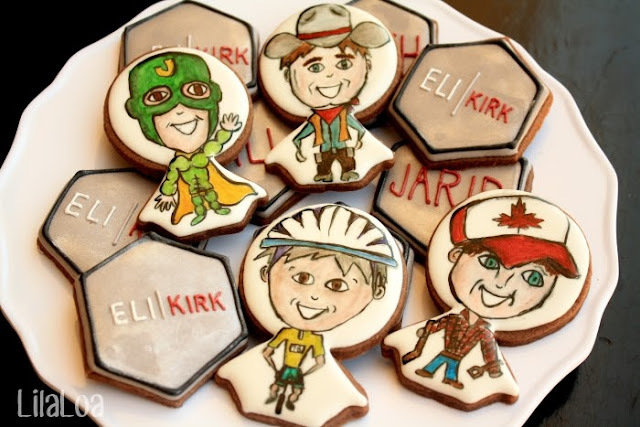 Can you believe that life goes on even when you're NOT making cookies? I'm not one to spread sensationalist claims that scare the general public and cause mass hysteria without any facts or hard evidence to back it up... but I think something happened to the space-time-continuum. See, when I was a kid, summer lasted about a jillion years. Each day was an eternal summer of its own. I could spend a lifetime as a mermaid, read 3 books, fall asleep in the sun, set fire to dead grass and weeds with a magnifying glass, eat 2 snacks, climb a mountain that turned out to be a tree, invent a machine to make my bed for me, and also completely annoy all 3 of my brothers to point of shunning and anger all before dinner time. Add Something Extra Round Up and a WINNER!! Umm, did anyone see July coming? Because I think maybe I missed it. Yesterday it was the beginning of summer and now it's August. I think I blinked. Luckily I have all the amazing entries from the July CHALLENGE YOURSELF as proof that July actually happened. 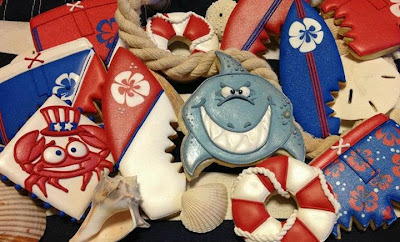 These patriotic shark cookies by Lettie's Labor of Love stole my heart from the first glance. I love the expression of the little crab man and the perfectly piped rope on the preserver. The flowers are so so pretty and the bite marks in the shorts?! LOVE it. 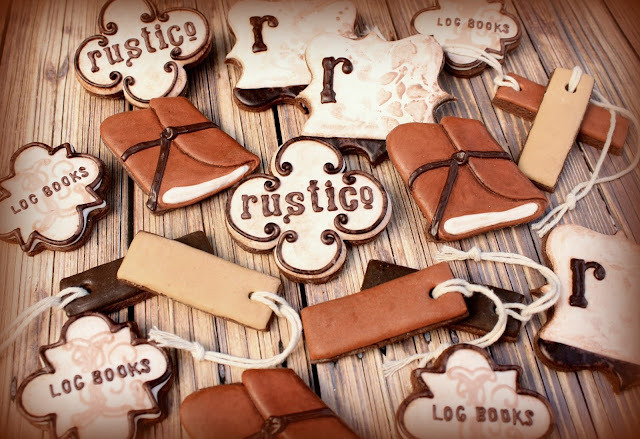 As a sharp contrast, we have these soft and pretty spa cookies from Sugared Hearts Bakery. 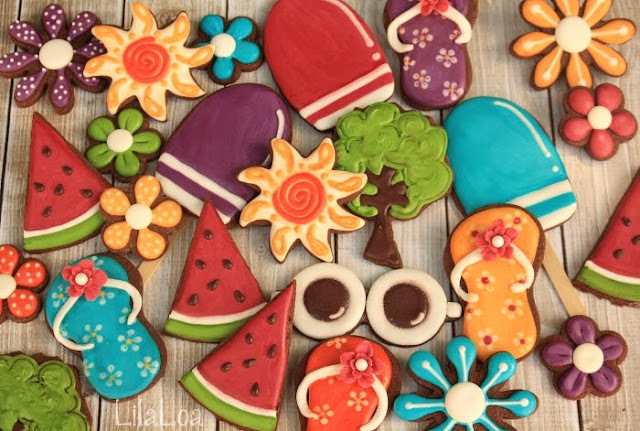 There are calming colors and patterns all over these cookies. I am LOVING the bubbles in the tubs and the "fluffy" non-pareil collars on the robes!! This Folk Art Bird from Gigi's Fresh Baked is so creative and such a fun use of sugar crystals and sanding sugar. I love all the different colors and patterns! I have a new love in my life. Don't worry.... it won't displace cookies. 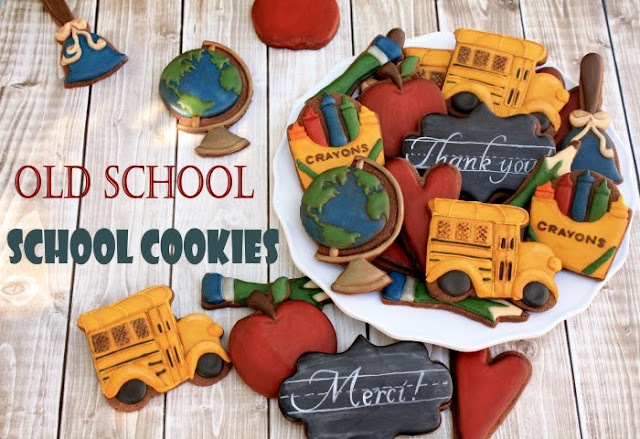 In fact, it is STILL cookies... just more, somehow. This new love completely understands my need for depth and texture and knows that I like to create in the quite moments when no child is screaming at me or simultaneously pushing and pulling on my legs. This love is there for me when I just can't figure out where to go next with a design, when I'm awake at 3am and utterly hating on my latest cookies and always surprises me with the perfect next step. This new love solved my Caricature Dilemma. And wholeheartedly supported my Western Wedding obsession. ...while simultaneously aging it in the most wonderful way possible.